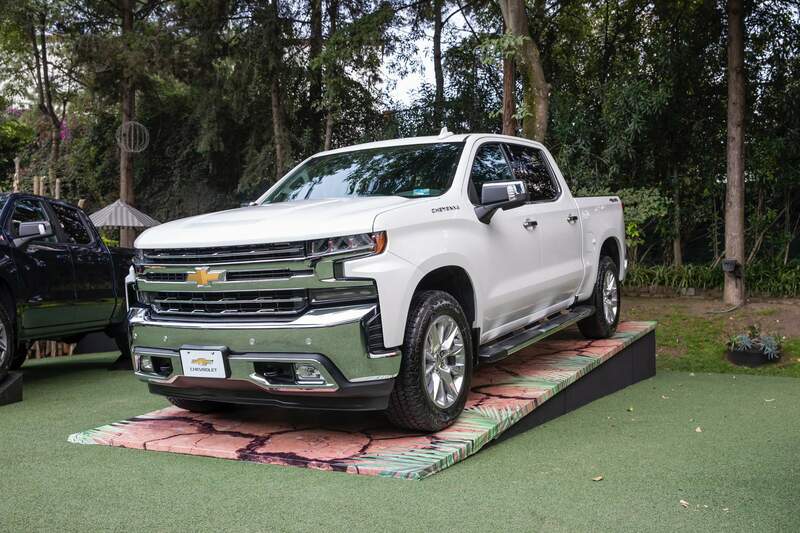 General Motors may be winding down some of its plants in the United States and Canada, but its Mexican operations are thriving. So much so, that GM is on track to end 2018 as the largest producer and exporter of automobiles in Mexico, according to a report from GM Authority. It will be for the first time in recent history that the U.S. automaker has risen to that position. 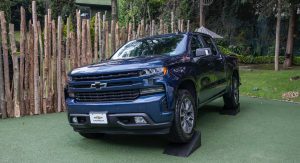 A lot of that success comes from GM’s reorganization of its Mexican plants to produce crossovers, SUVs, and pickup trucks. Since those vehicles happen to be the most popular right now, as opposed to slower-selling sedans, growth has come naturally. The General started making changes to its Mexican operations in mid-2017 in response to changing demands of North American customers. 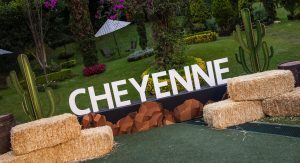 The carmaker stopped production of the Chevrolet Aveo (its best-selling model in Mexico) and Chevrolet Sonic, allocating the resulting capacity at two plants to the all-new Chevrolet Equinox and GMC Terrain, as well as the first-gen Chevy Trax. 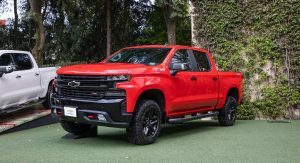 It also makes the all-new Chevrolet Silverado (sold as the Cheyenne locally) and GMC Sierra full-size pickups in Mexico, and will soon allocate additional capacity to the 2019 Blazer crossover in the wake of the recently announced plans to discontinue the Chevrolet Cruze. 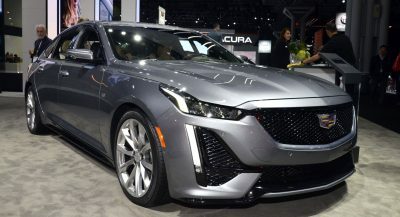 As a result of all these moves and the fact that Nissan mostly makes sedans in Mexico, GM replaced the Japanese company as the country’s largest carmaker in 2018. Through November, GM built 801,163 vehicles, up 67,000 units compared to the same period last year. 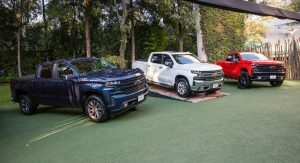 The vehicles were built at GM’s three plants in Mexico: San Luis Potosi (Chevrolet Trax, GMC Terrain), Silao (Chevrolet Silverado, GMC Sierra), and Ramos Arizpe (Chevrolet Blazer and Cruze). During the same period, Nissan built 717,108 vehicles, accounting for a decrease of 71,000 units. The increase in production also makes GM the largest exporter of automobiles in Mexico, with 693,782 units so far this year. Most of the exports go to the United States and Canada, but the automaker also benefits from Mexico’s trade agreements with South American countries. Not difficult for GM to become Mexico’s largest automaker, when their country isn’t developed enough to have serious manufacturers of their own. Blue Pill: T rump is a true facist who only cares about his race and liberty. Just curious, what’s your proof that he only cares about his race? Proof, not your biased opinion. depends what pill i take… Haven’t done it yey, so I can tell… But if i do take the blue pill, I could tell you… I fI take the red, I can’t..
I’m starting to think that General Motors always wanted to be the biggest auto manufacturer in Mexico. 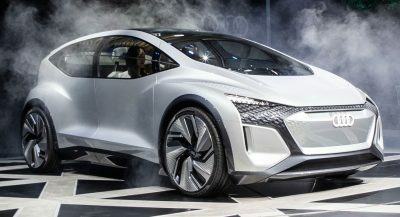 That’s the way to produce em cheap…Many different companies do this..
Way to make it political Dan – on a car forum – smh. SADLY IT’S ALL ABOUT THE MONEY AND NOT COUNTRY PRIDE. I Know that’s right and general motors doesn’t care about americans but themselves. Can’t that be said about the majority of large corporations and even our federal goverment? ABSOLUTELY BUT IT WOULD BE NICE IF SOME NATIONAL PRIDE WAS A PART OF THE EQUATION. ESPECIALLY WITH SOMETHING AS VISIBLE IN AMERICAN CULTURE AS THE CAR. general motors will never be bought by REAL americans like me again, shame on them and shame on mary barra for selling out their americans customers. So what makes you a real American and others fake ones? Because 45% of the US Treasury funds come from jobs in the form of payroll related taxes and corporate income taxes. I don’t shop at Walmart, and I refuse to order anything on Amazon. As a business owner I understand the system. I make decent money and I employ 25 people in the US. I could make a lot more money if I got rid of my designers and sub-contracted that work to companies in the PI and India…I have both knocking on my door weekly. Yet I make the decision to pay these people between $50-$82k for the work they do here…when I would get it for $9 per hour elsewhere. Because I am an American, and I understand what makes the US great, and what makes it go. I side with the creators every day. GM would be the poster child. I am afriad Mrs. Barra isnt as sharp as she thinks. I never liked her abd I say this as a GM fan I wish Ed Welburn got the job. I do t think she knows what’s she’s doing. So what will you buy? Because literally EVERY other manufacturer does the same. Unless you plan on walking or buying a horse, you’re pretty much fucked. There are plenty of GM vehicles that are still produced in the USA, interesting how “REAL Americans” didn’t and don’t care when foreign brands invaded and now are leading in US sales. But are too quickly to condemn and kill of whatever’s left with domestic brands. In the 1970’s and 80’s there was a HUGE quality gap between American made cars and those imported from Japan. 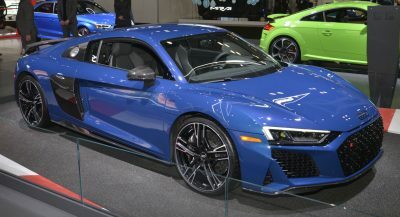 It was during this period that foreign auto’s got their foothold into the US market. US auto makers attempts to recreate the foreign car formula of small+economical+fun to drive came about in failed models like the exploding Pinto, the rusted out oil burning Vega. Chyrsler had enough sense to re-badge a Mitsu as the Challenger from 78 thru 83 I think it was. The re-badged Challenger was not a bad car…the Vega, Pinto were horrendous for different reasons, ford had a winner with the Maverick however IMO. The quality gap which was huge at one time has evaporated. GM builds as good a car as anyone else, however many are still brainwashed and refuse to understand this. This is really only Chevy (and GMC), but how much of the lineup is actually still made in the US? Do they have any “actual lineup” besides Chevy and GMC anymore? Cadillac and Buick both have pretty substantial lineups. Much of which will be disappearing within the next year. actually no. Why do u believe everything you read? General Motors says they will; you say they won’t. No. I said you were incorrect in your literal assertions. Buick has a new Regal and Enclave and a new Encore coming. The lacrosse is the only Buick being canned for the states and it stays on in China. Cts and Ats are being replaced and xts is being phased out. The XT4 has just been introduced and the Xt6 is coming at Detroit. How does this equate to “Much of will be disappearing”? The ranges are actually expanding. So glad the government bailed them out. I’m all for building cars in Mexico, so long as the majority are being exported to other markets, not the US. GM probably can’t shift it’s capacity to southern states because of the UAW union. I’m sure General Motors’ shareholders are unfazed by the news. This is what globalism has wrought. The people now whining about “corporate greed” are the same people who would whine about “government intervention” in business…. Not necessarily. I’m anti-greed, and I think that when corporations won’t behave responsibly, the government has a duty to intervene. Sure, I’m only one guy, but I’m reasonably certain I’m not the only person who thinks this way. I’m only against government intervention when no malfeasance is taking place. Not all unfortunate practices are unacceptable. Sometimes staff reductions due to automation and increased efficiency are inevitable, for instance. Other situations are more nuanced. One of the biggest problems with outsourcing labor is that other countries often have labor standards that a reasonable person would consider oppressive. Often that definition depends on whether one’s bottom line includes groceries or executive compensation. I can’t wait until someone figures out how to automate executives. What lots of countries do is place high import taxes on cars coming from specific countries. It is one way to attempt to solve the problem. Forcing sales prices up by 20% would encourage buyers to think about what they are purchasing. Personally, I’d make it a requirement that everyone selling a vehicle (new or used) would need to advertise the country of manufacture alongside the price. I don’t think people understand how risky things still are for the American car companies. Gm has forced itself into a corner where it is literally relying on 2 markets; china and the US. Their brands are not strong enough where they can charge higher prices so they are forced to try and find ways to build them cheaper. You can’t sell a poor quality car with no features, everything has to be competitive. So how do you make them cheaper? Labour costs. The labour costs from building cars in Mexico is saving GM billions compared to building everything in the States. It’s a hard economic fact. I’m sure GM would LOVE to build everything in the states. Who wouldn’t want that kind of positive, fully American made publicity? The bottom line is, if they were forced to build everything under the UAW , the company would probably go bankrupt again. Mary Barra hates the idea of employing American workers. That’s why she was on Hillary Clinton’s short list for potential VPs. Shame on Wikipedia for even allowing such a ridiculously biased page to exist. I have owned dozens of Chevy’s in my life. I have 2 in my driveway today, a 2014 Silverado and a 96 Tahoe with 240k on it that simply will not die. I have owned 7 Camaro Z28’s, Other Tahoe’s, a Suburban, Nova SS, GTO’s you name it. To say I was a loyal GM guys would be an understatement. I AM DONE WITH GM! They closed every assembly plant in Australia, closing plants in Canada and the US whicle making new plants in Mexico and China…This is done to export jobs to cheap labor regions such as Indonesia and Mexico, and import their job security to the US consumer wrapped up in an overpriced vehicle. 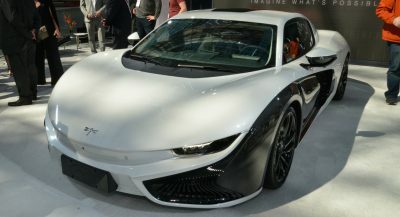 Does anyone thing GM will lower the price of their cars based upon the lower labor costs of production??????? TARP and federal loans. 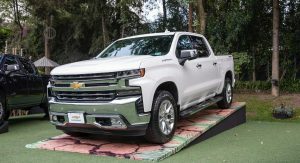 GM brags about the fact they paid back the federal loans to the US…but they conveniently leave out the fact they repaid the balance of the loans with TARP money they NEVER repaid. I KLAATU pledge to never purchase another GM product for the rest of my entire life, and I will encourage others to make the same pledge. Fvk Mary Barra…she needs to understand where her bread is buttered. What a vapid moronic POS she must be. By comparison, Ford is idling an entire shift at its Louisville LAP which makes a small SUV because they aren’t selling very well right now. They are moving every employee to KTP across town to increase truck production…and FORD took 0 TARP money. F150’s and Mustangs be looking pretty good to this consumer. it’s time to fire mary barra period, she is one of the worst I’ve ever seen. So buying a Mexican powerstroke is what real Americans do? No…real Americans support American jobs. People with half a brain understand globalization…this is about a corporation which was saved from insolvence by the US taxpayer, a corporatuon which paid federal loans back with TARP money they never paid back, one which fvcked shareholders out of their investment..
And one which now clearly has sided with cheap foreign labor which turning their backs on the consumers which saved them with yax dollars and by purchasing their product. That said, you can still buy a American made GM product, how is that not supporting American jobs? It’s not just GM! They are all greedy and guilty of that! You’ll just have to research where vehicle is made and not the brand you’ll buying. American made duramax which then gets assembled in Flint, MI seems to support American jobs compared to Mexican powerstroke. They are looking for ways to maximize their return on investment. With labor unions out of the picture and lower wages to boot it helps their bottom line which appeases Wall Street whom Mary’s umbilical cord is still attached to. We may not like it and are free to vote with our checkbooks how we feel about their decisions too. All this said I still am not to pleased with so many of their vehicles being “imported’ so to speak. Australia voted with their checkbooks after being dumped, and Holden is now ranked 10th in Aus sales. Same will happen here. I have defended GM till I am blue in the face and I am done. Honda and Toyota make a lot of money paying good wages in the US. Ford took no TARP money ans when they had to shut down a assembly line here, they moved every employee across town to another facility and ramped up production there. Ford merely moved their assets to where the demand was being created. The hourly wage is almost exactly the same. UAW employees cost more due to benefits…Both Toyota and Honda as well manufacture more cars in the US as well. 1) Yes and? They were making huge losses because the labour costs in a developed market like Australia are insanely high. so yes I was correct. 2) Incorrect. One time profit because of the effect of shift reductions at Vauxhall’s plants in the UK and voluntary redundancies doesn’t equate to making money “hand over fist”. So basically huge job losses. It will take several years for Opel to incorporate PSA Techs and Platforms. 4) Because they are making cars much cheaper abroad. SO you’re literally confirming everything I said. Not sure what the point of your post was. Mule. I think I will let my statements stand. GM is making money hand over fist with the current labor market in the US…where the taxpayers bailed them out. I think it is you who is missing the poi t here. GM can eat lead paint and mate with farm animals if they wish…I will never buy another. I think you need to buy a thesaurus. I will purchase one when I write my novel, till then we are good. You might need to make your profile public, lest you be labeled a troll. The irony. Correcting your breathtaking ignorance doesn’t make me a troll. You looking for me to make my profile public so you can go snooping around makes you the troll. The difference is, it’s clear I’m a lot more informed than you are. Just sayin. Dude, chill, happy new year 🎊. It’s the way companies do business all around the globe . Not saying it’s right but it’s reality. That is the way that the depraved globalists do business, you’re right. Can you specifically point out the comments you thought were trollish? 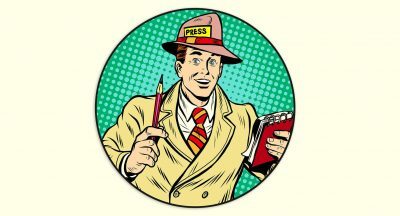 Are they the one’s that corrected you with facts and figures and you just didn’t like being shown up? Sweet Jesus. There’s a lot of vitriol in this discussion feed on GM’s decisions. There seems to be an inherent expectation of ‘loyalty’ from GM due to the bailout and other concessions. What’s baffling me is this expectation. On no account am I prepared to make value judgments on the relative ‘morality’ of various corporations as it pertains to what factories they open, shut, where they employ people, etc. EVERY COMPANY makes and takes its strategic steps for its immediate and long term benefits. The Mary Barra’s are paid specifically to accomplish this. If you think you see more local investment from Ford than from GM, please do not confuse that with loyalty. To say these decision are multifaceted is to engage in understatement to a comic degree. And to prefer to sit there and take cheap, quick cognitive shortcuts and call them greedy for making global strategic decisions, is puerile, immature and shortsighted. I am not ‘excusing’ or vilifying any company. They all act in their best interests at the time, as far as they can judge them. In future, as a voting population, be wary of your politicians claiming that any favors granted to corporations will curry some sort of long term favor in terms of choosing plants, or producing models. That way, you guys wont sit here in forums like these spouting this trite idiocy as you try to dumb-down the motivations of the executives, managers and shareholders of billion dollar multinational companies into single sentences and witty punchlines. Literally nothing you said was “fact” if it was, GM would be doin it. You honestly don’t know what you’re talking about and it is utterly embarrassing. You know, you can shout troll into you’re blue in the face. You don’t know what you’re talking about. SO let it go. You got served. Deal with it. I think you are a Last Word Troll; let’s see if I am correct. The irony hurts SO HARD! LMAO. Instead of “trolling” me, go ready up about the industry and quit self projecting onto others. You got schooled and you can’t handle it. Move on. 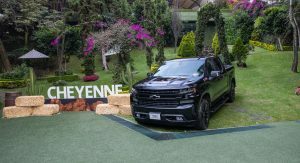 how many vehicles were sold by gm in mexico, made in the us …. a whole lot more went to mexico than china!!! what is up with gm having to build everything here in the u.s???? larger more profitable here in the u.s to keep the union hogs happy…. In the mind of a child maybe I did. 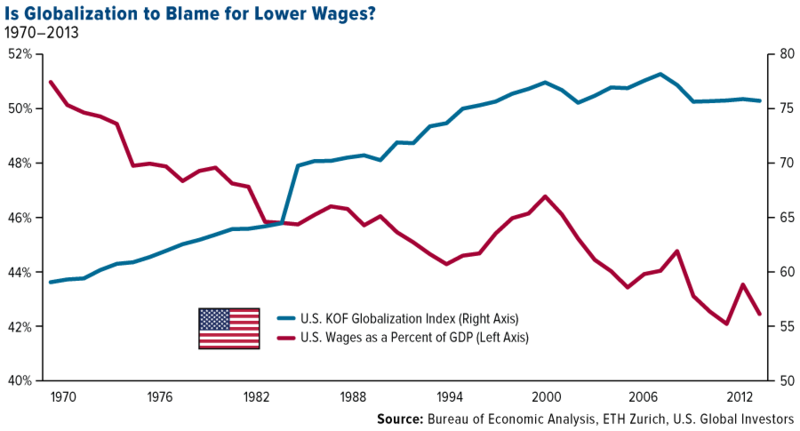 If you look at the graph below it shows the correlation between globalization and the average wage as a % of GDP…which has decrease as globalization has increased. The next graph shows who got hurt. Globalization is fine when in balance, just as trade is fine when in balance. 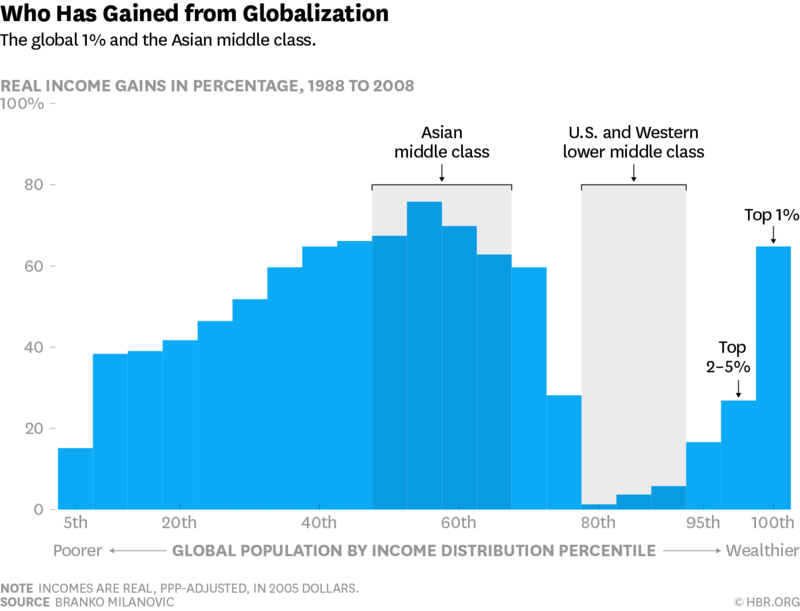 No-one ever advocated for total globalization at the expense of the US economy. The middle class has been decimated to a degree and the full extent of the damage has not been realized, by a long shot.